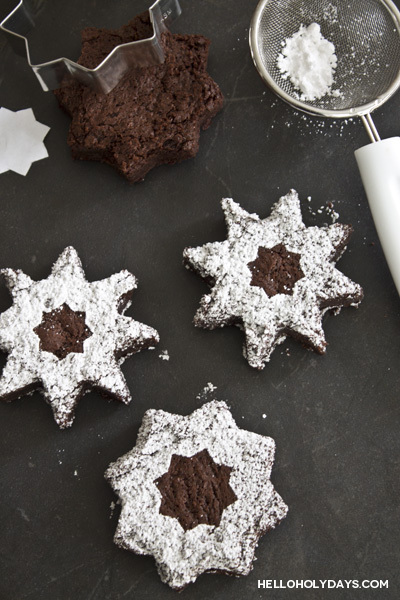 8 Pointed Star Brownies – Hello Holy Days! 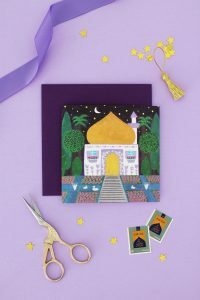 Make Eid festive by making brownies with our Islamic holiday cookie cutters. Get the recipe below. Preheat oven to 350F and grease a 9″ x 13″ pan. Meanwhile, cream together sugar and eggs using an electric beater until light in colour and frothy on the sides. Pour into prepared pan and bake for approximately 35 minutes until toothpick inserted in the center comes out clean. Allow brownies to cool completely in pan. Then remove from pan onto a chopping block and use the cookie cutters to make shapes. Recipe by Manal for Hello Holy Days!